This post brought to you by Simply Right Infant Formula. All opinions are 100% mine. If you use formula you know that it is important to use a brand that has balanced nutrition so that your baby can have the best growth and development. But you also know that formula can be very spendy! Simply Right Infant Formula is the best of both worlds when it come to formula. They are FDA approved and has DHA and ARA to support brain and eye development. 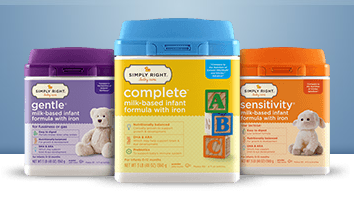 Be sure to visit Sam's Club Wesite and save on Simply Right Infant Formula— it is the same quality as National Brand Infant Formula like Similac and Enfamil. 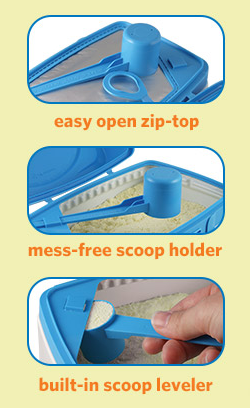 But I am most excited abut the easy to open, easy to use new design of their packaging! Anything that makes it easier for me to make a bottle when your baby is crying for food is a good thing for me! The baby stage is so sweet. We adopted our first 2, and I got both of my kids when they were a little older (8 and 9 months) we missed out on some sweet newborn time with them. But feeding time was always such a special bonding time with the kids. I love snuggling with them! Now that they are 5 and 2 1/2 that doesn't always happen! With baby #3 on the way I am looking forward to that baby snuggle time! What are some of your favorite mommy memories with your babies?